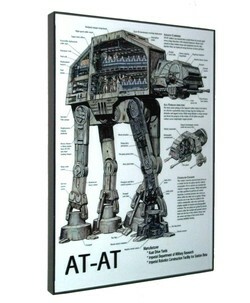 This are the full color plans for the AT-AT complete with explanations. Every detail is here. This is a great display piece that is already framed ready to display. The entire item is about 9 X 11 inches.